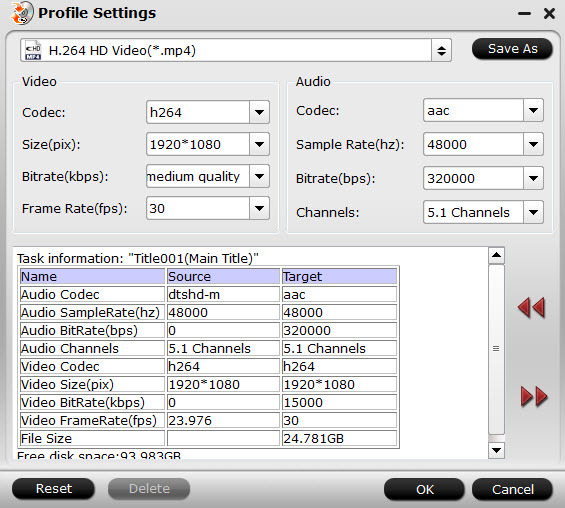 After the ISO image loading is finished, click "Formats" to open the output video formats, there are 200+ video formats are ready for you, you can choose any one you lke. For example: Click "HD Video" ＞ "H.264 HD Video (*.mp4)" for Asus Transformer Mini, as MP4 is most compatible video format in the world. What’s more, if you want to play Blu-ray ISO on other devices, you can choose "iPad", "iPhone", "TVS" and so on. This software have preinstalled all the video settings for you. 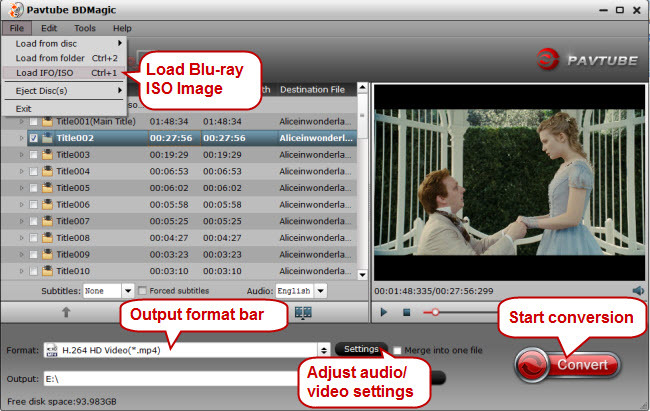 TIP: If you want to adjust the video by yourself, this Blu-ray ISO Converter can satisfy you. Click "Settings" near the format bar to go to "Profile Settings" interface where you’re allowed to change parameters like bitrate, frame rate, sample rate, and audio channels according to your requirements. When finishing the above three steps, just one click the button "Convert" which is quite obvious on bottom-right corner to start conversion from Blu-ray ISO file to H.264 MP4/AVI/MKV/MPG/WMV, and more on Windows 10 for Asus Transformer Mini.